So far we’ve dealt with if then statements that are categorical: No Great White Sharks are vegetarians. Now we’re adding a level of complexity with some, all, and most. This level is called modality. This video is 11 minutes long, and it’s all vital information. Below the video is a walkthrough of the content. You would think the opposite of all would be none, but it isn’t. 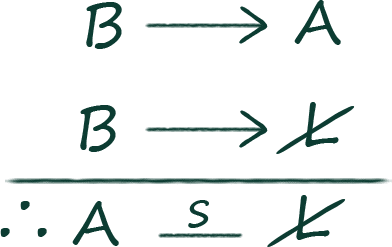 The opposite of all (which you are going to be using often on the LSAT if you are taking the contrapositive of an all statement) is some are not. 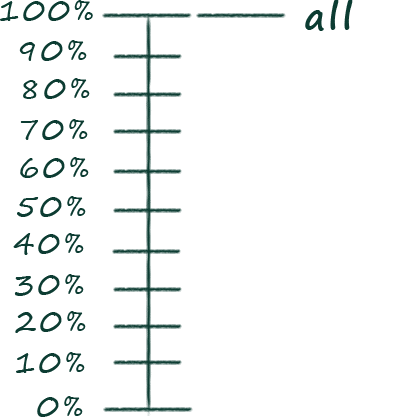 All just means 100% of something. 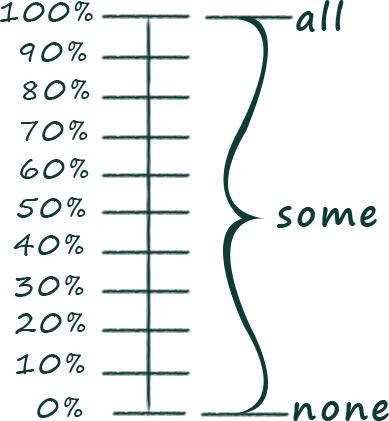 Some means greater than 0% (none) but not 100% (all). 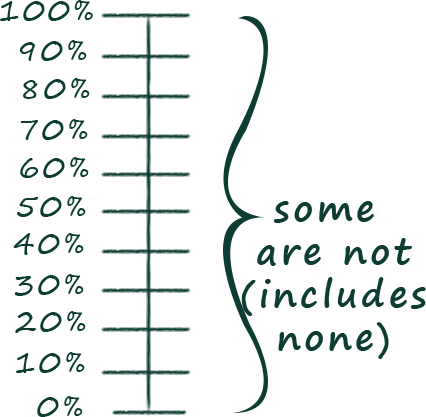 Some are not means below 100% (all) down to 0% (none). Some are not means everything less than all, including nothing. So, on the LSAT, saying he has some are not winning lottery tickets in his pocket is perfectly valid (even if he has none). All D → NA doesn’t mean that nice animals are all dogs. NA → D is invalid. The negation of All is Some Are Not. The negation of All dogs are nice animals isn’t No dogs are nice animals, but “Some are Not”: Some dogs are not nice animals. The opposite of nothing is some. The contrapositive (show in red above) shows that the opposite of nothing is something (the opposite of nothing isn’t everything). All grad students are higher-ed students. 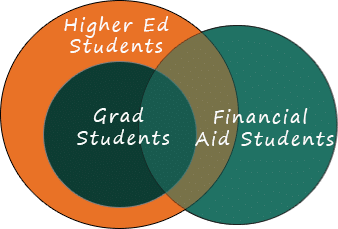 Some grad students are on financial aid. no students are on financial aid. All LSATs are hard tests. Some tests that are not hard are not an LSAT. All hard tests are LSAT tests. 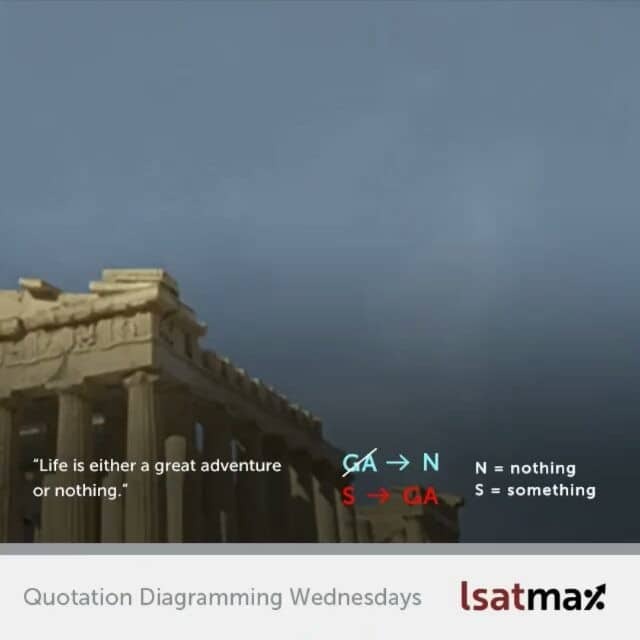 Some LSATs are not hard. Some law school programs are part-time. Some part-time programs are law school programs. 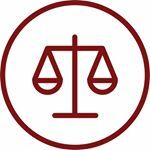 Some law school programs are not part-time. Some part-time programs are not law school programs. Premise 1: Most voters view Hillary unfavorably. Premise 2: Most voters view Trump unfavorably. This can be a confusing question, but all it’s really asking you to do is just use substitution (athletes for bankers).